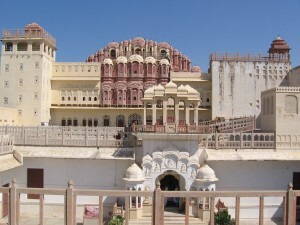 Jaipur is the capital city of Rajasthan state in India. It was built in 1727 AD by Maharaja Sawai Jai Singh II when he had shifted from Amber and chose Jaipur to be his new capital city. He instructed Vidhyadhar Bhattacharya to do a complete and thorough city plan for Jaipur so Jaipur is the very first planned city in India. 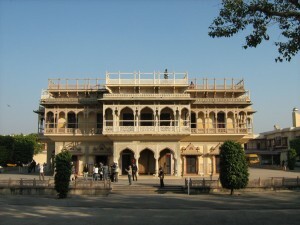 Read here to find out more about Jaipur’s history. Below is a list of attractions in Jaipur that showcases the historical side, the traditional architecture and artistic side of Rajasthan. Jaipur is full of history and legends. It is rich in culture and heritage. Come visit Jaipur and you won’t be disappointed. The following list is arranged by their popularity. Don’t you know that a few Guinness World Records were made in Jaipur. One of them is displaced in the City Palace at the moment. Check it out! list of Jaipur markets for the best markets in town. list of Jaipur temples – find out the important temples in this area.